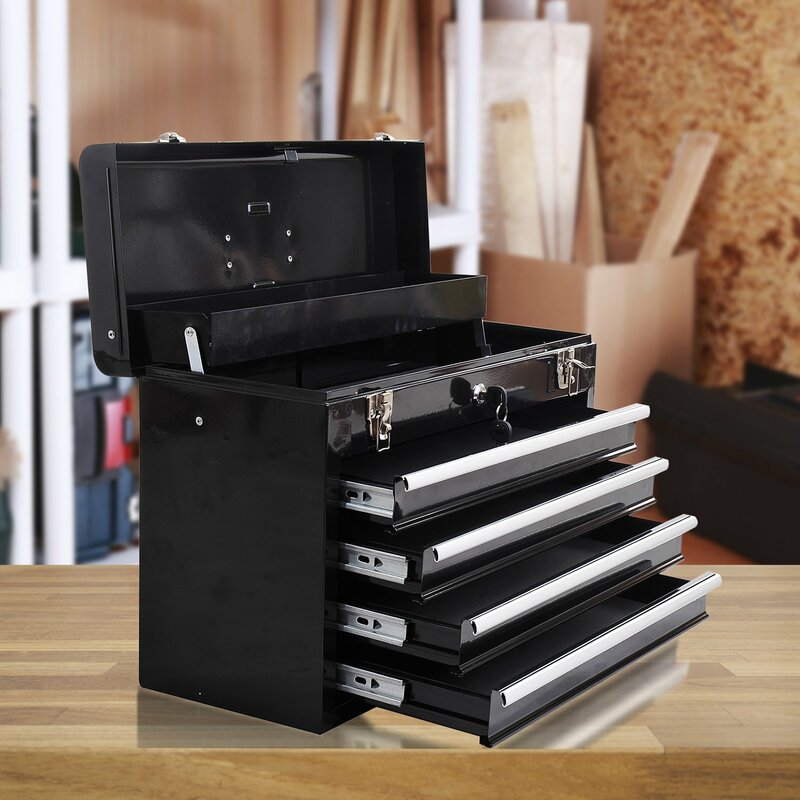 This utility portable toolbox is ideal for storing your tools or any other personal things. There are two locks outside to fasten the top cover. Comes with one inner lock to enhance its safety and two keys included. 4 drawers for convenient tools sorting. This utility toolbox is of high quality, sturdy construction and tough steel frame. A plastic handle on the top of this toolbox, portable and convenient. Each drawer has an EVA mat in it to prevent and absorb part of oil stain from the tools.